Another year has turned over and the Mico Volunteer Fire Department is working with the Medina County ESD#1 to bring even more improved services to our community! Our Fire Chief continues to enhance training for Firefighters, and we are advocating for some improvements to the Fire Department grounds and facilities. 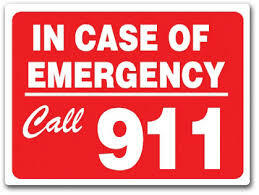 We now have a full time EMS team housed on the property to improve response times to our area. This crew is funded and managed by the Medina County ESD#1 and we are thrilled to have them here! More details about the accomplishments of the past year, as well as what to look forward to this year, are in our Newsletter coming to your mailbox soon! Thank you to everyone who attended the Mico Community Christmas Party! We hope you all had a wonderful time of fellowship and thanks in keeping with the spirit of this Holiday Season! 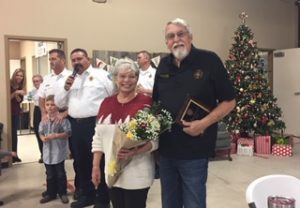 In case you missed it, we honored Jim and Mary Wilbourn for over 10 years of volunteer service to the Mico Volunteer Fire Department. In those 10 years, Jim held every position on the Board of Directors except Secretary and Mary was an avid volunteer, especially at Annual Barbecue time and with all of the Newsletters. We will miss them, but wish them much happiness as they navigate full retirement and travel! We would also like to thank Jamie Esquivel for pulling “double-duty” for the past 2 years serving this community not only as Deputy Fire Chief but also as the Vice President of the Board of Directors. 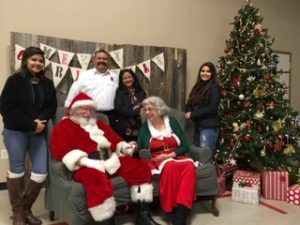 The selfless giving of time and expertise by Jamie and his family has propelled this Fire Department to new heights with community outreach through various activities such as the Annual Barbeque, Fall Festival, and Mico Community Christmas Party. Although he is stepping down as Vice President of the Board, he will remain on as the Deputy Fire Chief and Jamie and his family will continue to serve our community! We are lucky!